ALOHA TABLE Waikiki - Aloha Table's main store is located on the east side of DFS Galleria along Kalakaua Avenue, the main street of Waikiki. The restaurant has lanai where you can feel a fresh breeze, as well as the bar and table seating. 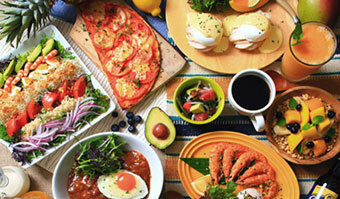 You can enjoy local Hawaiian cuisine and a wide variety of dishes using local food. Especially popular is our "Premium Kobe Style Beef Loco Moco", with Hamburg steak using selected Kobe Beef and special mushroom & onion demiglace sauce. 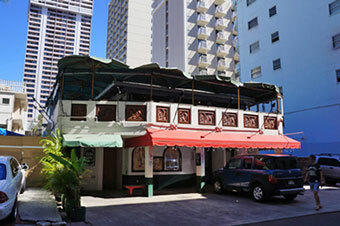 Aloha Table is open until late at night, uncommon in Waikiki where most restaurants close early. Sit back and enjoy our bar time after dinner. Have fun with us in many ways; lunch, dinner or late-night dining. "111-HAWAII AWARD" Hawaiian Food / Loco-moco Category. 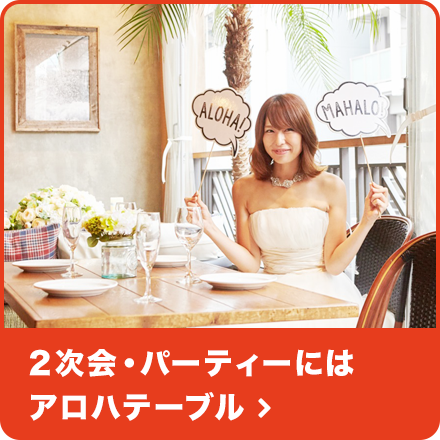 "Aloha Table Waikiki" was chosen as 1st place!